The Argonautica is the dramatic story of Jason's quest for the Golden Fleece and his relations with the dangerous Colchian princess, Medea. 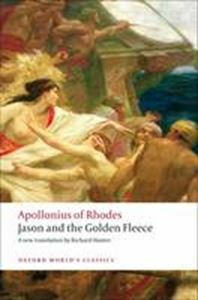 The only extant Greek epic poem to bridge the gap between Homer and late antiquity, it is a major product of the brilliant world of the Ptolemaic court at Alexandria, written by Apollonius of Rhodes in the 3rd century BC. Apollonius explores many of the fundamental aspects of life in a highly original way: love, deceit, heroism, human ignorance of the diven, the limits of science. This volume offers the first scholarly translation into English prose for many years, combining readability with accuracy and an attention to detail that will appeal to readers both with and without Greek. 'Based on a deep understanding of the text, this translation, with informative notes and an excellent introduction, will bring Apollonius to the audience he deserves...' (TLS) ABOUT THE SERIES: For over 100 years Oxford World's Classics has made available the widest range of literature from around the globe.